Author Tom Cooper has written a dozen books on the Middle East. Two of his most recent were Syrian Conflagration: The Syrian Civil War, 2011-2013 and Moscow’s Game of Poker: Russian Military Intervention in Syria, 2015-2017. While doing his research he has studied the Iranian Revolutionary Guard’s (IRGC) presence in both Syria and Iraq. The Iranians played a huge role in both conflicts on the battlefield and in the media promoting itself. This is an interview with Tom Cooper about the Revolutionary Guard and its Iraqi allies. 1. It seems like there are some parallels to be drawn between the Revolutionary Guards’ experience in the Iran-Iraq War and the Syrian War. In both cases, the organization suffered heavy losses initially, and then eventually learned how to adapt. It also created a mythology about its involvement that exaggerated its accomplishments. What is your assessment of how the IRGC has done in the war? There are quite a few of parallels, principally because the Iran-Iraq War fought from 1980-1988 was of fundamental importance for the emergence and build-up of the IRGC in the form as we know it nowadays. That conflict was the IRGC’s elementary school, high-school, college and university all at once. Early during the Iran-Iraq War, the IRGC was first a small, amateurish armed force designed to protect the new government in Tehran. 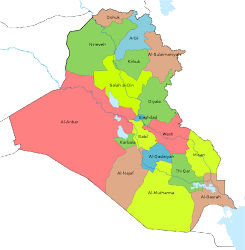 It was only over the years that it grew into a massive military organization with big conventional formations, flying- and naval branches, capable of waging large-scale offensive operations against Iraq on its own. Finally, it was during that war that the IRGC learned that, in order to safeguard the power of cliques making it, it had to impose itself in control of the entire Iranian society through imposing itself in control of its economy, too. A similar process can be monitored in Syria since 2011. Certainly enough, Tehran maintained close ties to the Assad government already since the early 1980s, when Damascus began supporting Tehran during the Iran-Iraq War, while Tehran became involved in the build-up of Hezbollah as a ‘protector’ of the Shi’a minority in Lebanon but especially as a counter to the Israeli occupation of that country. However, while the Assad government developed into the closest Iranian ally in the Middle East, prompting numerous Iranian officials to publicly declare its survival for their ‘red line’, it was never directly subjected to its control – which is now the case since the period 2012-2015: at earlier times a small group of IRGC officers acted as links to Maher al-Assad – the key Syrian figure in the alliance with the IRGC and Hezbollah – and was busy controlling the flow of arms sent from Iran to Lebanon, but also to the Syrian military. When the Syrians rose against the Assad government in 2011, several relatively small groups of IRGC’s advisors (perhaps 200 in total) with fresh experience from brutally smashing similar protests in Iran of 2009, were deployed to advise the local ‘security services’. Before long, the situation went out of control and thus, according to Iranian sources interviewed on condition of anonymity, this deployment was increased to two small brigades during the summer of 2012. Entirely staffed by Iranian nationals, these initially served the purpose of defending the Sayyida Zaynab district of southern Damascus against Syrian insurgents. They suffered extensive losses during the second half of that year. Because Tehran was ill-positioned to publicly acknowledge its military intervention in Syria – both because of continuous unrest at home, and because of concerns over a possible reaction for the West – but also because the uprising continued to grow and spread, the IRGC then made the decision to massively expand its intervention ‘through other means’. Tehran began providing massive loans to the Assad government in return for concessions related to economic privileges; on the military plan, and in attempt of minimizing the IRGC’s footprint, it simultaneously ordered the Hezbollah/Lebanon to intervene in Syria, replaced its own units with those of the Iraqi Asaib Ahl al-Haq militia, and then – and in cooperation with Maher’s Hossn Association – launched the process of creating local surrogates in form of the scams like ‘National Defence Forces’, ‘Local Defence Forces’ and others, nominally in order to bolster the regular Syrian military, but actually with the aim of completely replacing them with a ‘popular’, Basiji-style, volunteer force. In regards of how the IRGC has done in the war: generally, the performance of IRGC-Quds Force (QF)-commanded units in the Syrian War can be characterized as ‘quite uneven’. The two original brigades deployed in southern Damascus suffered extensive losses before learning their lessons. Nevertheless, by late 2012, they proved capable of running nocturnal assault operations in urban areas – which is one of most demanding kind of infantry operations. For most of 2013-2014, performance of units commanded by IRGC-QF ‘s officers was usually dictated by being ‘lucrative’, and thus relatively poor on average. Some operations did demonstrate advanced skills, including the capability to run heliborne commando attacks in the enemy rear. Foremost, many of large-scale operations were disturbed by rivalry with the few surviving regular Syrian military formations. Both the ‘government’ in Damascus and the IRGC-QF were short on supplies as of 2013-2014. Whenever the IRGC-QF launched an offensive in the period 2013-2014, an array of government commanders tended to launch competing operations, in attempt to prove their ‘value’ and ‘loyalty’ – in turn dooming the IRGC’s designs to fail. Where the IRGC-QF-commanded formations did better was in Homs of early 2013; during the offensive to lift the siege of western Aleppo, in autumn 2013; and while recovering large parts of southern Damascus, and then laying siege to several resulting pockets, in 2013-2014. Contrary to the usual style of their operations – most of which depended on superior firepower and frontal assaults – these offensives were often imaginative, included elements of flanking movements, helicopter deployment of commandos behind enemy lines, and others. In turn, by 2015 – when IRGC-QF-commanded formations took away all the (Soviet-made) T-72s from whatever was left of the regular Syrian military, and then acquired additional T-72Bs and T-90s from Russia – their performance degenerated to that of frontal assaults. Several negative experiences from that year also made IRGC-QF’s commanders much more cautious in their conduct of operations than was the case at earlier times. Similar it is valid for their experiences of the last two years: indeed, it can be said the force is de-facto re-learning many of its earlier lessons while fighting the Daesh in eastern Syria. 2. 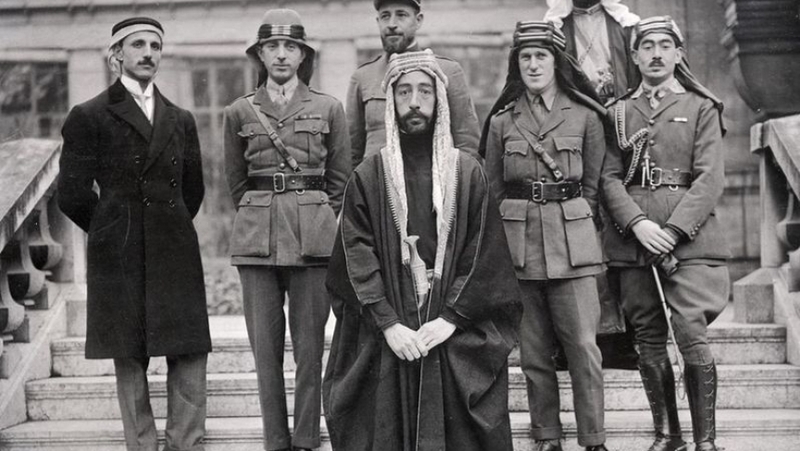 The Iranians eventually brought in their Iraqi allies into Syria. Asaib Ahl Al-Haq, Kataib Hezbollah, Badr, etc. all sent men and new groups were created as well. How were they used, and how did they do in the fighting? The deployment of diverse Iraqi militias in Syria took place under the aegis of the IRGC-QF, and must be viewed within the context of what this force was (and still is) doing in the country, but also within the context of what is going on in Syria. 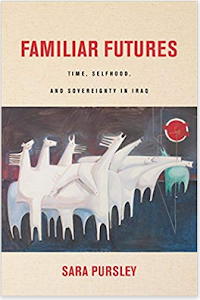 - local/domestic ‘popular forces’ could be created inside that could – at least nominally – fight on behalf of the government (but, actually, on behalf of Tehran), and thus safeguard Iran’s influence in the long term, and even in the case of a downfall of the Assad government. These are the fundamentals along which the IRGC-QF is operating in Syria ever since. Correspondingly, Tehran not only began funding the Assad government with billions in crude oil and cash (reportedly, Damascus was receiving an equivalent of US$1-1.5 billion a month, from summer 2012 until at least October 2015), but also creating local systems of theological education through which the IRGC is ‘embedding’ itself within the local population, and establishing diverse militias officially designated the National Defence Force, Local Defence Force and similar. Aware of the fact that it might take years to not only form loyal local proxies into units capable of carrying the burden of the war, but especially to grow an entirely new generation of Syrians that would follow its orders, the IRGC-QF was in need of forces that would ‘buy time’. This is why formations like Assaib Ahl al-Haq began to emerge – initially in southern Damascus, in summer 2012 – with the official task of ‘defending the Shrine of Sayyida Zaynab’. Of course, this remained the official explanation for sending all the other militias of the Iraqi Shi’a to Syria, especially so in autumn 2015, when their number grew to nearly 60 diverse formations: by that time, these forces formed at least 30% of the effective fighting force on all the major frontlines in central and southern Syria, and up to 80-90% of effective fighting forces nominally fighting ‘for Assad’ anywhere north of Hama, but especially in the Aleppo area. By late 2017 and early 2018, IRGC-QF-controlled forces were making out up to 95% of combatants assaulting such areas like eastern Idlib province, not to talk about operations against the Daesh in diverse parts of eastern Syria. 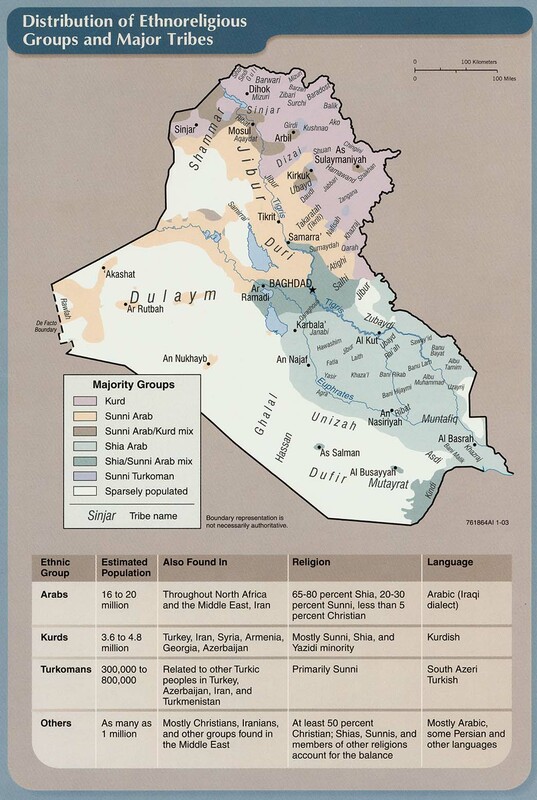 In regards of how were Iraqi militias used and how did they perform: this depended on the type and size of formation, their training and equipment, but also their political backgrounds. Some of units had excellent training and equipment, and were used as ‘special forces’. 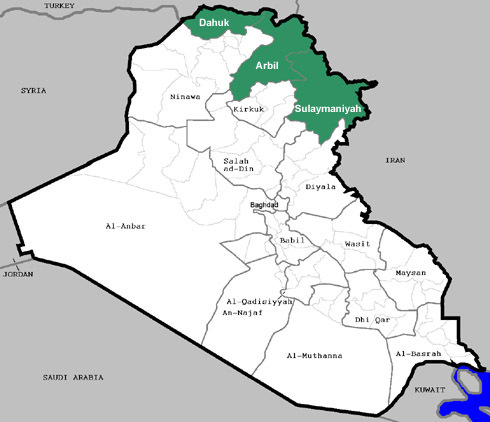 Formations associated with the Badr Movement in Iraq seem to have been considered ‘not particularly reliable’ and to have served only relatively short stints in Syria: the presence of most of them was identified only during a relatively short period of high-intensity combat operations between October 2015 and March 2016. Most of them served as ‘light infantry’ and seem not to have left any lasting impressions of the battlefield. On the contrary, together with units staffed by IRGC’s proxies from elsewhere – especially the Liwa Fatimiyoun (staffed by the children of Afghan Hazara refugees that grew up in Iran) - formations like Harakat al-Nujba and Kata’ib Hezbollah (eventually merged into the Harakat Hezbollah al-Nujba) formed the backbone of many of major offensives. Correspondingly, they were the best-equipped, too. Notable in this regards is that the IRGC-QF took away all the (Soviet-made) T-72 main battle tanks left in surviving formations of the Syrian military (except those operated by Maher’s 4th Division) and assigned these to its own units (foremost the Liwa Fatimiyoun, which was eventually expanded into a ‘division’ of four ‘brigades’). Similarly, the IRGC-QF bolstered the Harakat al-Nujba and Kata’ib Hezbollah through the acquisition of 24 T-90s and a similar number of T-72Bs from Russia: unsurprisingly, these units played the crucial role during the offensives into the southern Aleppo province, in autumn 2015; on Nobol and Zahra in February 2016; and during the siege of western Aleppo, all through the rest of that year. 3. 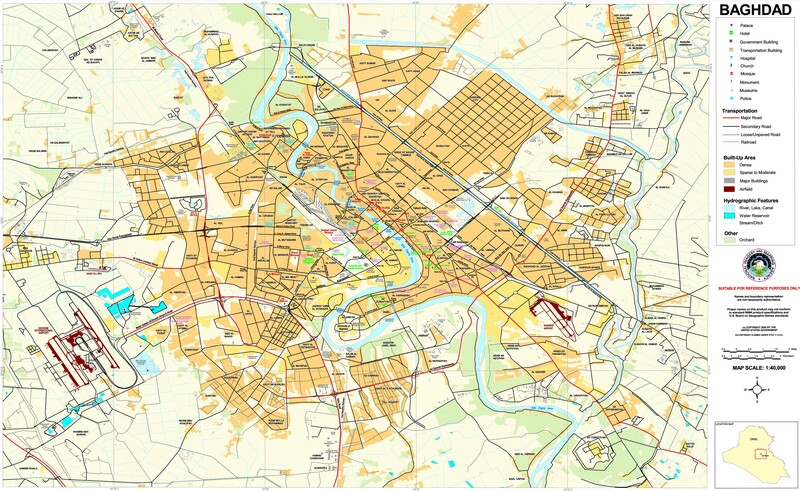 As soon as Mosul fell in Iraq in 2014, the Iranians sent in IRGC elements to assist Baghdad. It attempted to take the lead in the war as well, which was given extra emphasis since the Americans were there too. Part of that effort was based upon pushing the militias it backed, which became part of the Hashd al-Shaabi, to take the lead in the fighting. In the battle of Tikrit, Tehran and the pro-Iran Hashd wanted to prove that they could retake a major city, and demanded that U.S. air power not be involved. 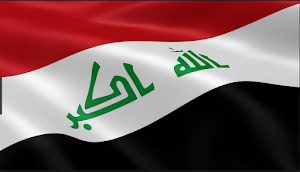 That failed miserably and the Iraqi army and police took over backed by American air strikes. Do you have any insights into what happened in that operation? The fall of Mosul and the ‘spill’ of Daesh into north-western Iraq seems to have had much more massive consequences for Tehran than usually known. Contemporary reports from Iran before the summer of 2014 were indicating a country on the verge of bankruptcy, where even the activity of the IRGC was minimalized in order to save money. Daesh’s advance changed all of this ‘over night’: even the USA looked the other way when not only did Baghdad place huge orders for Iranian-made arms and ammunition and then requested support from of the IRGC-QF’s military presence in the country, but also while the Kurds in northern Iraq began receiving training and arms from the regular Iranian military. I.e. 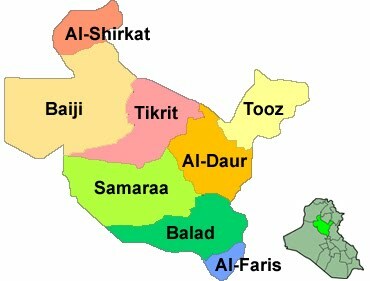 Tehran suddenly found itself in a position to publicly demonstrate its might and influence all over Iraq. In light of these developments, but also because many Western observers began framing the IRGC-QF as some sort of an ‘elite’ force, the idea was born in Tehran to demonstrate its combat effectiveness, and the effectiveness of the entire concept of ‘Islamic mobilisation’ of the locals. 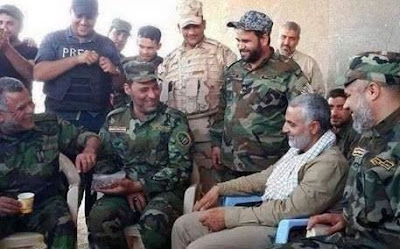 That’s how come the – much famed, at least in the West – Major-General Soleimani was ordered to command the IRGC-QF-controlled forces responsible for recovering Tikrit, and to recover that city from the Daesh without any kind of US support. Yes, he failed, and yes, miserably at that: he proved himself unable to plan and run a complex military operation and liberate Tikrit. 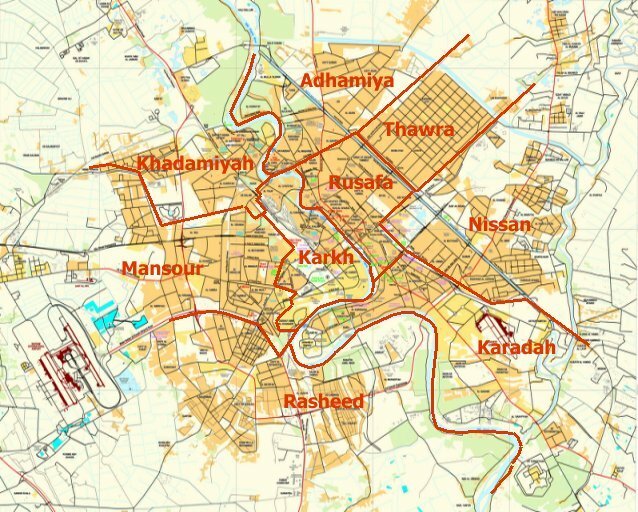 One can argue whether his task in that case was realistic or not, but the fact is that it took the Iraqi army and police, and plenty of US support, to recover the city. The IRGC-QF proved unable of doing this on its own. According to sources in Iran, the consequence was that Soleimani was dismissed from his command and is ever since playing no role in planning and conduct of combat operations – whether in Iraq or in Syria. 4. Another part of the Iranian effort in both Syria and Iraq was its propaganda campaign. A major element of that was to promote Iranian Revolution Guards’ Quds Force commander General Soleimani. He was photographed everywhere across both countries turning him into a social media star. What was Soleimani’s role in the two wars compared to the mythology created around him? Iranian sources related to the IRGC stress that Soleimani never played as crucial a role as a planner and decision-maker as many usually credited him for. No doubt, especially diverse Iraqi political figures are de-facto ‘scared’ of him. However, according to sources within the IRGC, Soleimani was actually always a ‘mere executor’ of orders from the Supreme Leader and the Supreme Revolutionary Council (forwarded via Vahid Haghanian, a civilian serving as a liaison officer connecting the top ranks of the Iranian leadership with the top ranks of the IRGC). Indeed, one of the sources in question went as far as to stress that Soleimani ‘can’t tie his shoelaces without permission from Tehran’. Thus, while certainly an ‘intimidating’ figure to many in Iraq, there is at least a question mark over how much was Soleimani really ‘the’ figure planning and running so many of the developments in Iraq of the last 15-17 years – as often claimed by diverse observers in the USA, but in Israel too. Soleimani is still present, no doubt. Indeed, it seems that Tehran is still maintaining an official line along which he remains the commander of the IRGC-QF, too. Thus, he is travelling widely in Iraq and in Syria, talking to the troops, letting them take ‘selfies’ with him. However, his actual role should be that of bolstering the morale of the combatants and intimidating diverse political opponents: multiple Iranian sources stress that the command and control of all the IRGC-QF’s formations on the battlefields in Iraq and Syria are exercised by other officers than Soleimani since 2015.